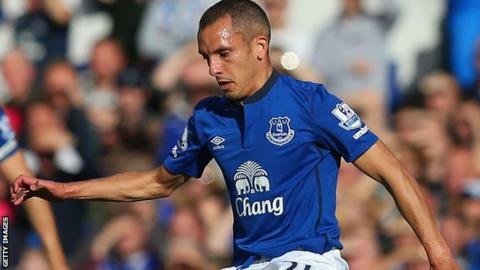 Everton midfielder Leon Osman has agreed a one-year contract extension. The 33-year-old, who came through the club's academy and had his testimonial in August, will remain at Goodison Park until at least the summer of 2016. Osman made his professional debut while on loan at Carlisle in the 2002-03 season and made his senior Everton bow later that same campaign. He has gone on to make almost 400 appearances for the club, scoring 54 goals, and has won two England caps. Osman made his international debut against Sweden in November 2012 and last featured for the national side in a World Cup qualifier against San Marino in March 2013.